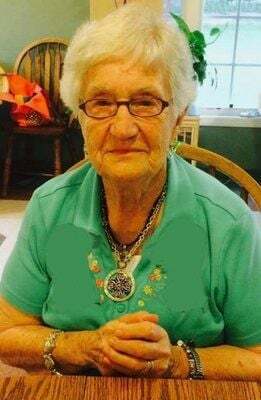 Mrs. Hazel A. Roberson, age 98, died on Wednesday February 6, 2019 at Peak Resources in Graham. She was born in Orange County, NC on August 20, 1920 and was the daughter of the late Baxter and Vasa Terrell Abee. Maw Maw could always be found helping others or spending time with her family who brought her the most joy. Hazel attended Lamb’s Chapel. She was preceded in death by her husband Loy Roberson, son Bradford Roberson and son -in-law Don Macomson. She is survived by two daughters, Donna Macomson and Sharon Weaver and husband Gary of Mebane and daughter-in-law Alice Roberson. Also surviving are six grandchildren, thirteen great grandchildren and three great great grandchildren. The funeral service will be conducted at 2 p.m. on Sunday February 10, 2019 in the Chapel of Walker’s Funeral Home and Crematory of Mebane, located at 304 W. Center Street officiated by Randall Roberson and Rev. Brian Biggers. A visitation will be held following the funeral service at the funeral home. Memorials may be made to Hospice and Palliative Care of Alamance-Caswell County 914 Chapel Hill Rd, Burlington, NC 27215. Walker’s Funeral Home and Crematory of Mebane is in charge of the arrangements for Mrs. Roberson.